The teams in Group D all had a day of rest on the 8th of September but they are right back in to the swing of things today, Wednesday the 9th of September. With four teams on 5 points, one on four points and one team on 3 points, this is a very tight group and the results today could go a long way to deciding who makes it out of Riga and heads to Lille at the weekend. These were all close games that at various points could have gone either way, and this can make it difficult to split the teams. There are a couple of matchups that teams won’t dare to lose on Wednesday so the basketball may not be free-flowing but it should be very intriguing. These are two of the teams on 5 points and both will feel as though they have something to offer heading into this game. 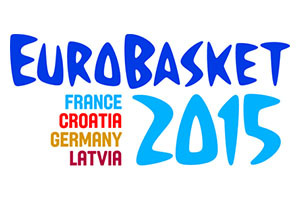 Belgium picked up a buzzer beating win over Lithuania in their last game while the Czech Republic succumbed to the power of the hosts. This means that both teams will have contrasting moods and emotions going into this one but they should both be confident in their abilities and both will know that a win will be a big step forward to the knock-out round. Matt Lojeski was the hero of the last game for Belgium and if he can deliver the same again, they will be looking a good bet in this one. Tomas Satoransky grabbed 22 points in the last game for the Czech Republic but he’d be more than happy to settle for fewer points as long as the team gets the win. The tight nature of this game can be seen in the available odds so look to take Belgium at +1, with odds of 1.90, in this one. With the Over/Under market also looking close, look to go OVER 141.5 at odds of 1.90. Bet Now! The hosts take on the team who are yet to grab a win in the tournament so far, but you wouldn’t say that it was a foregone conclusion. There is a huge incentive for Latvia to rgab the win, they’ll already know the score between Belgium and Czech Republic, and a win would let them leapfrog the losers, and you can expect the atmosphere to be electric in this one. As for the Ukraine though, the tight nature of the group means that a win in this one could provide them with the platform for some final day heroics. Janis Blums was in top form for Latvia in their most recent game while Jerome Randle showed well for Ukraine. The bookies are siding with the home team and if you think the passion of the home crowd will influence the game against the team at the foot of the table, opt for Latvia with a -9 handicap, at odds of 1.90. For the Over/under market, go UNDER 144.5 at odds of 1.90. Bet Now! Lithuania will be desperate to get back to winning ways in this one and they should have more than enough to take on Estonia, even though the Estonians have been spirited in the tournament so far. Jonas Valanciunas grabbed 25 points and 12 rebounds in his last game, so he’ll be keen to deliver more of that form while Estonia will still be giddy after their first win in the EuroBasket since 1993. They’ll be determined to not have to wait so long for another win and if Gregor Arbet can deliver a strong showing again, it may be that the Estonians will have a chance. Lithuania are massive favourites for this one with the bookmakers and they should be fired up after their narrow loss to Belgium. However, Estonia have performed strongly so far so look to take them at +17.0 at odds of 1.90. For the Over/Under market, look to go OVER 142.5 at odds of 1.90. Bet Now!